Mini Cherry Bread Puddings... and a Little Something for YOU! I have crushes on a lot of things. Mr. E. Nesting bowls. Measuring spoons. Cherries. Vintage tablecloths. Bill Murray. Ruffles. Scalloped edges. Lipstick. Chocolate. Anything involving cake batter. Kitties. Hearts. Vintage cake toppers. Hankies. Silicone spatulas. Mentos. Don Draper. Goat Cheese. If you share my crushes...or even just a handful of them, I have a little treat for you. It will arrive after Christmas, when things have settled down and you could use a little treat. Oh yeah, babe. Somebody's going to win it. OK...let's talk about goat cheese for a minute. I love it. I would eat it on a train. I would eat it in the rain. I would eat it with a fox. I would eat in in a box. But I never thought about using it in dessert. Until now. Goat cheese is the secret ingredient to these creamy, tangy mini cherry bread puddings. Butter two oven-proof ramekins, 8-10 oz. capacity each. Place on a baking sheet and set aside. 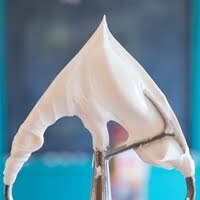 Whisk together the egg, sugar, goat cheese, half and half and vanilla in medium bowl until smooth. Tear the rolls into 1" pieces. Add the pieces and dried cherries to the egg mixture and stir until well coated. Let stand 5 minutes. Spoon evenly into dishes. 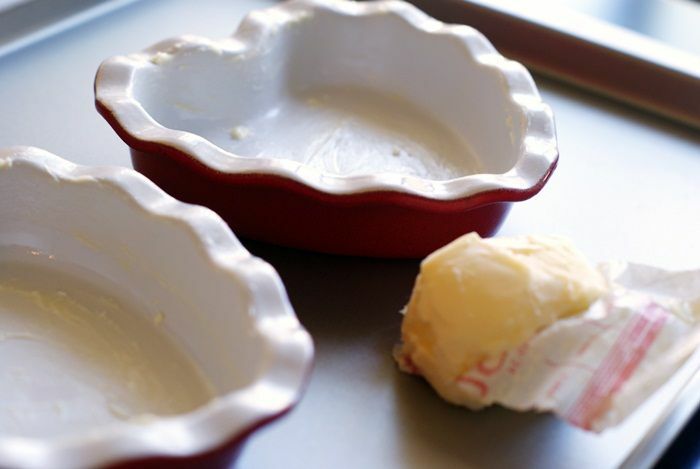 Place the baking sheet with the ramekins in the oven and bake 25 to 35 minutes or until the center is set. leave one comment naming 3 of your crushes. "if you win the Holiday Sweet Treats from Chavrie giveaway, which dessert recipe would you like to try?" Seely Booth, ruffles, and anything pink. 3 Crushes: - Le Creuset dutch ovens, professional food bloggers, eggnog. I'm a little upset Bill Murray and Don Draper aren't part of the crushes giveaway. Right now I am crushing on coffee (it's the end of finals week), teeny tiny travel-sized notebooks, and salted caramel anything. Three crushes: my pet rabbit, peanut butter, and shoes! My top three crushes: 1. my boyfriend 2. my brand new hand mixer 3. doughnuts of any kind! I totally want to try the pumpkin panna cotta with Chavrie goat cheese! Yum! i have had my eye on a chocolate mousse...seems interesting! My crushes = anything from Urban Outfitters, vintage dishes, and Bailey's Irish Creme. I've wanted to make Creme Brulee for awhile now, and I think it would be extra good with goat cheese. definitely don draper. and emile henry salt pigs. and mini rubber spatulas. If I won, I'd definitely try the creme brulee. I would never have thought to add goat cheese to it. the 22nd is my 22nd birthday so here's to hoping I win ! my three crushes right now - chocolate chip cookie dough ice cream, penguins, and snow! if i won, i'd make the souffle... yum! 3 crushes: my hubby, peanut butter + chocolate, and pinterest! My crushes are my boyfriend, chocolate, and my cats (Romeo & Juliet)! My hubby, Harry Potter, and cookie dough ice cream! If I won the Chavrie giveaway, I would want to try the Pumpkin Panna Cotta. 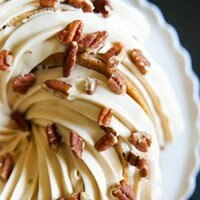 I love all of the pumpkin desserts that fall and winter bring! I would love to make the Apple Strudel! My 3 crushes. . . . my hubby, marshmallo cream and New Age wine!! 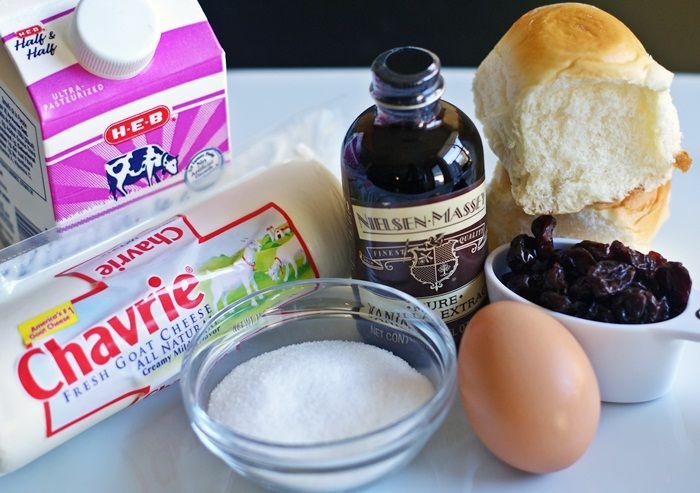 I want to make the Cherry Bread Pudding.... YUMMY!!!!!! So many crushes... where to begin?! Antique trunks (especially when used as a coffee table), cookie spatulas and Brown County, Indiana. 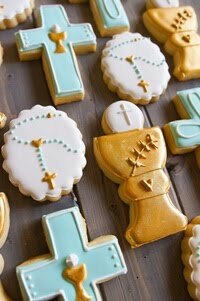 I would try the short bread cookies w/the Chavrie. Crushes: the Food Network, my hus and kiddo, and sharp cheddar. Crushes- Hubby (stud muffin! ), kitchen aid pro, and an industrial size fridge and freezer in a large kitchen! If I win, it's love to try this recipe, creme brûlée, or dulce de leche. I would have to try the creme brulee! That's such a yummy treat!! My 3 crushes are chocolate, zinfandel wine and Callye at Sweet Sugarbelle's. I love her work! Oh my... I'm dying to taste the apple strudel with Chavrie goat cheese! 3 finishing a strength training routine! 3. My babies toothy grin. My three crushes are: my kitchen aid mixer, antique furniturefrom my grandparents and a really good chocolate. If I win the contest, I will make the Soufflé Recipe with Chavrie® Goat Cheese. Yum! If I win the dishes I would LOVE to make my family individual pies with them. They all like something different in their pie so the size would be perfect! Love your blog. Thanks for doing the give away. crushes? hrm... chocolate, chocolate and chocolate! Thanks for the chance! The pumpkin panna cotta looks yum. Chocolate, chocolate with anything, and anything Cuisenart. 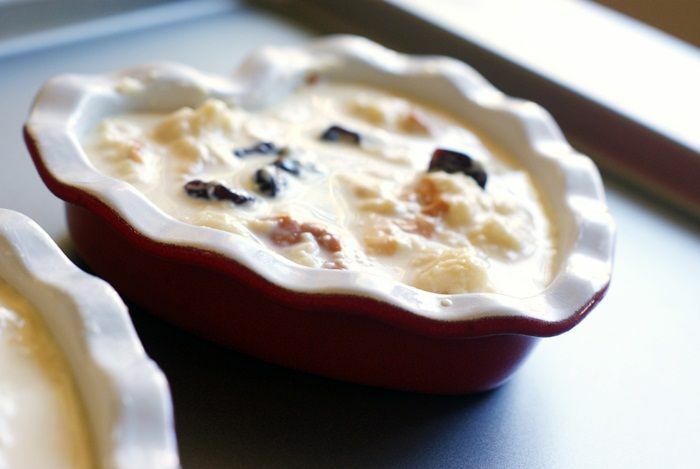 If I won, the first dish I'd make is your gorgeous cherry bread pudding from this post. 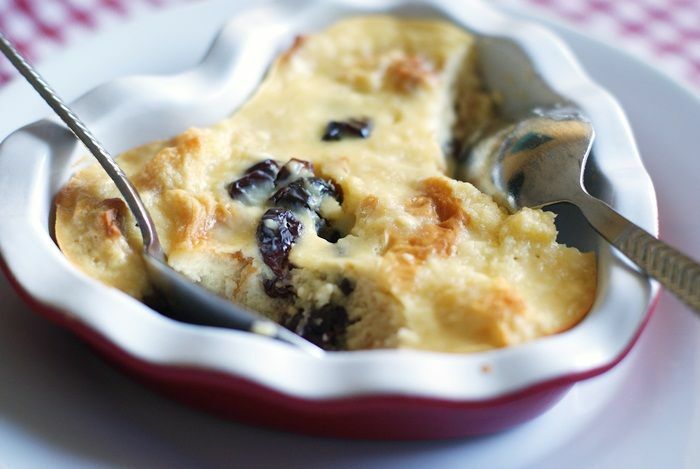 I'm a sucker for a warm bread pudding and cherries are high on my crush list. Plus, that photo of your puffed bread pudding out of the oven just killed me dead. Crushes: chocolate, fudge, and peanut butter!! if you win the Holiday Sweet Treats from Chavrie giveaway, which dessert recipe would you like to try? I would try the creme brulee! I want to make the Herbed Cheesecake with Chavrie® Goat Cheese. sounds yummy! Apple Strudel with Chavrie Goat Cheese....mmmmm! I'd try the creme brulee! The apple strudel looks delicious (and easy!). My hubby, John - he's the best! He actually is a great cookie "flooder" and helps me every time I bake! We have cookie decorating dates after the kids go to bed. My kiddos! I love them more than life itself! The first thing I would try if I won would have to be the clementine & chestnut trifle because I've been talking nonstop about how badly I want to try chestnuts! Everything looks amazing, though. I'd like to try the Apple Strudel with Chavrie Goat Cheese if I win. my crushes are shoes, baking tools and power tools! Hmmmm...fresh strawberry jam, old movies with Katherine Hepburn and Spencer Tracy, warm cinnamon raisin bread. I've never made anything like that Easter Bread, but that looks tasty and I might have to give that a try, goat cheese is a great ingredient but I haven't tried it in baking. fig bars or shortbread sound yummy! I would try the recipe you made. Looks yummy!! I'm crushing super hard on my new bike (Cannondale CAAD 10), Kitchenaids (someday, someday...), and...chocolate? Yessss. I'd like to try that Apple Strudel with Chavrie. I've never used Phyllo dough before! 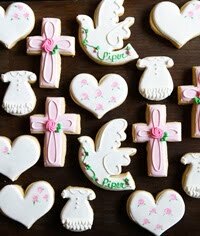 Kyle Chandler, Coach Poppy perfume and decorated sugar cookies. If I win, I'd love to try a toffee cake recipe that would look awesome on that cake stand! I'm definitely intrigued by the Herbed Cheesecake! Three of my crushes: reading, cross stitch, and making cookies with my kids. That cake stand is beautiful! Thanks for the giveaway! My 3 crushes are kittens, a boy at work and cookies! What a great giveaway!!! That recipe also looks fabulous! My three crushes...my hubs, my grandbabies, antiques, cooking, photography, blogging....I can't stop at just three! I want to try this recipe of course! It looks FABULOUS! 3) Trader Joe's white cheddar puffs! So so good. All things Kitchenaid in Pink. I would definitely try the creme brûlée. My three crushes...cookie cutters, Harry Potter, and nutella. My three crushes are my pistachio standing mixer, beautiful patterned napkins, and vanilla beans. If I were to win I would try to make creme brule, I have always wanted to. Besides my husband, of course, I share your crush on Don Draper, and my other two would be shoes and cheese. I have crushes on running skirts, my Kindle, and Daniel Craig. If I win, I think that the creme brûlée looks awesome, so I might start with that! Crushes? Fancy cheeses, fruit butters & homemade lemon curd. 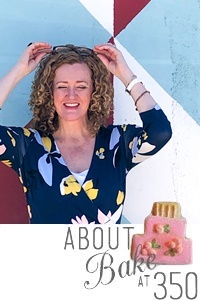 All things pink, Bradley Cooper and fudge. Thanks! I'd love to try the creme brulee! bread pudding! i love it! if I won this, I would try the dessert you made b/c it looks amazing and I love love love bread pudding AND cherries! My 3 crushes right now are spritz cookies, my iPhone and my kids. My three crushes are starbucks coffee, anything with skulls, cake stands. If I win the Holiday Sweet Treats, I would try the Herbed Cheesecake with Chavrie Goat Cheese recipe. 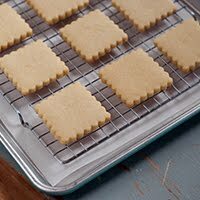 If I won the giveaway, I would try the shortbread cookies. Thanks! would definitely try the herbed cheesecake--sounds yummy! 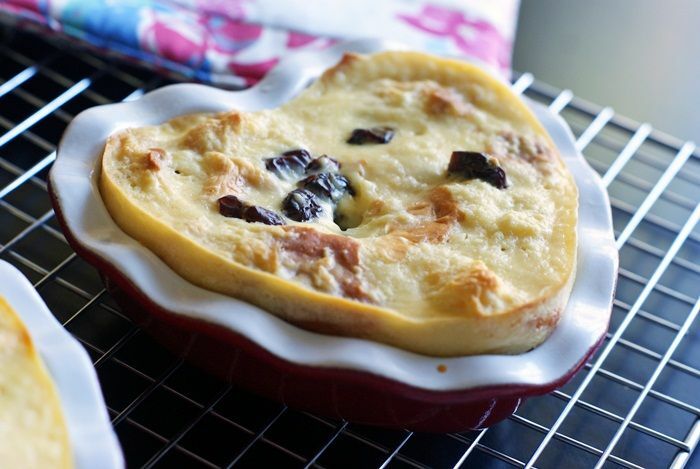 by the way, i'm nutso about hearts and would love to know where your heart shaped ramekins came from--thanks!! Three of my crushes are ruffles (especially on little girl dresses), chocolate, and smoked gouda. I LOVE goat cheese...oh so very much. I'm crushing on anything miniature, peppermint mochas, and my newest nephew, who has that new baby smell that I just can't get enough of! Three crushes: pinterest, royal icing mix, and anything with goat cheese too (tonight's dinner included roasted cauliflower and red onions with goat cheese crumbles). Recipe I would try would be the clementine trifle because clementines are my fourth crush right now. The cherry bread pudding for sure! My crushes? Chubby babies, macarons, and wool felt. chocolate cobbler, hot chocolate chip cookies, and cheesecake! My husband, cheese, and Le Creuset! 3 of my crushes: my husband, coffee shops, and books. I would make the apple strudel. It looks fantastic! If I won, I'd choose to bake anything in a crust. I'm nuts for pies, etc. If I won, I would have to try the Cherry Bread Pudding! 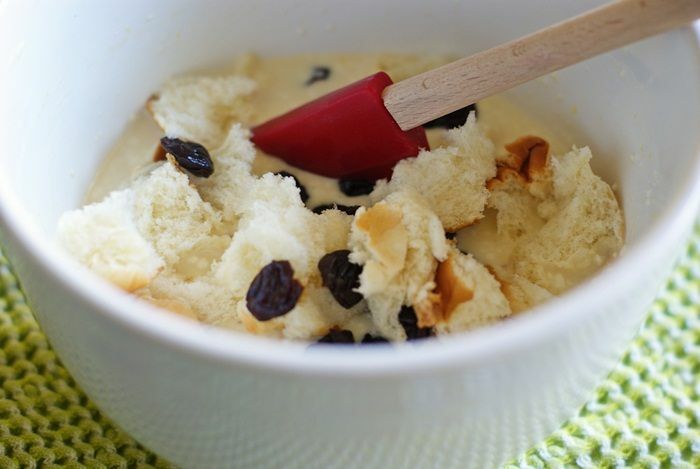 I love real Cherries and Bread pudding, and the adding goat cheese sounds AMAZING! Regardless if I win or not I will have to try this recipe! The husband, the adorably cutest baby in the world (that happens to be mine), and plastic spoons. For some odd reason, I'm a sucker for plastic spoons. If I win I would make the Shortbread Cookies with Goat Cheese. 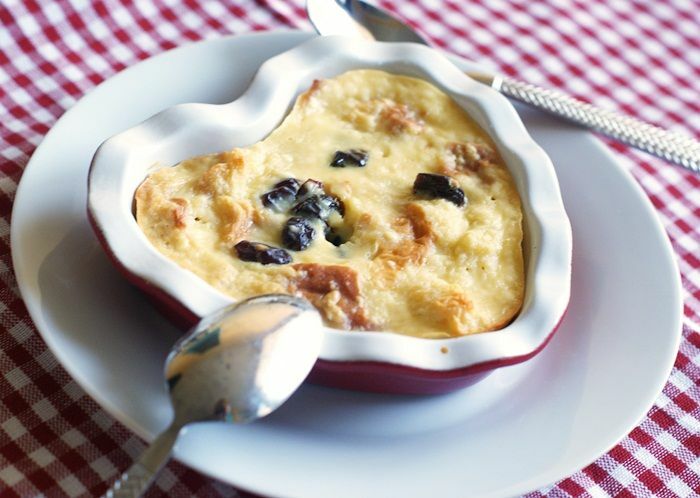 I would love to try the cherry bread pudding recipe. Yum! 1) Any kind of cooking/baking "thing" that's out there... I wish I didn't live in an apt cause there is not enough space for all the kitchen things I want! 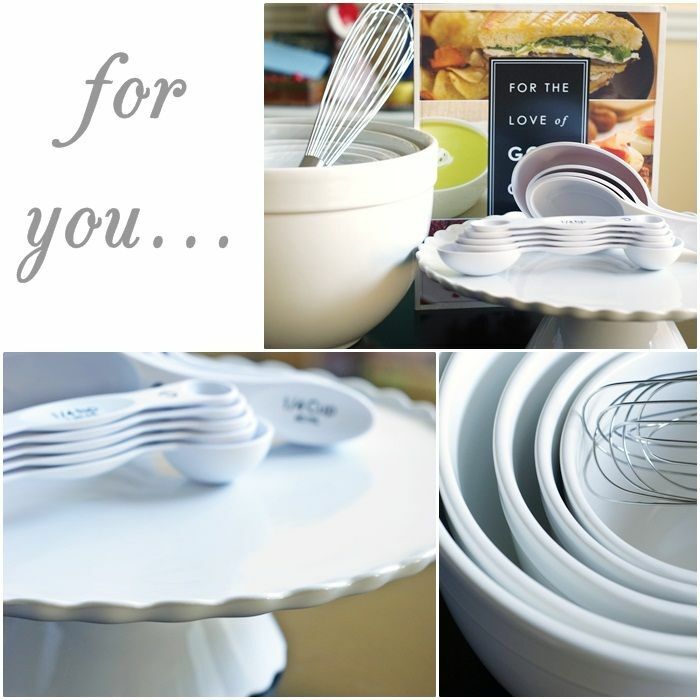 2) Serving dishes, trays, etc. I love hosting parties because of all the fun stuff you get to make & use! Also if I win the Holiday Sweet Treats from Chavrie giveaway, I'd try to Apple Strudel with Chavrie® Goat Cheese! I love Apple Strudel! 3) My whisks -- I have over 30 whisks of all different shapes and sizes. I even have a whisk on my Christmas tree! I would love to try the Blueberry Tarts with Chavrie® Goat Cheese. And I would try the apple strudel! Thanks for the giveaway. funnily enough, goat cheese is one of my crushes! I also love tea, wooden spoons and christmas ornaments. I'd love to try the apple strudel! Oh, and I've been wanting to make creme brulee forever...with goat cheese? yes, please. I would try the Apple Strudel, I think. The shortbread cookies maybe. Who can decide? I'd like to try the souffle, but would probably chicken out and try the apple strudel instead! Oh goodness. My family (husband, kids, cat). My KitchenAid. Jim Caviezel. Harry Connick Jr. Sonci Cherry Limeades. I could go on and on. Absolutely the cupcakes with chocolate frosting and goat cheese. Holy yum. Oh wow, I definitely wouldn't have thought to put goat cheese in a dessert, but I have actually had cherries & goat cheese before, so I know that's a good combo from the get-go! Current crushes: mini cookie cups, Justin Bieber (his Xmas CD, actually) and anything with avocado involved! My crushes... Anthony Bourdain, Foo Fighters, and grilled cheese sandwiches. All three mix together beautifully! Working with goat cheese sounds a little intimidating. I have heard amazing things about brownies with goat cheese swirls...that's probably the direction I'd go in! I have a crush on these cute little bread puddings! Oh and peanut butter, christmas movies and cranberry cocktails! My three crushes today are the fudge puddle cookies my sister-in-law made for a Christmas party this weekend, spinach artichoke dip and homemade ciabatta. If I were to win, I think I'd have to try the blueberry tarts, creme brulee AND apple strudel. 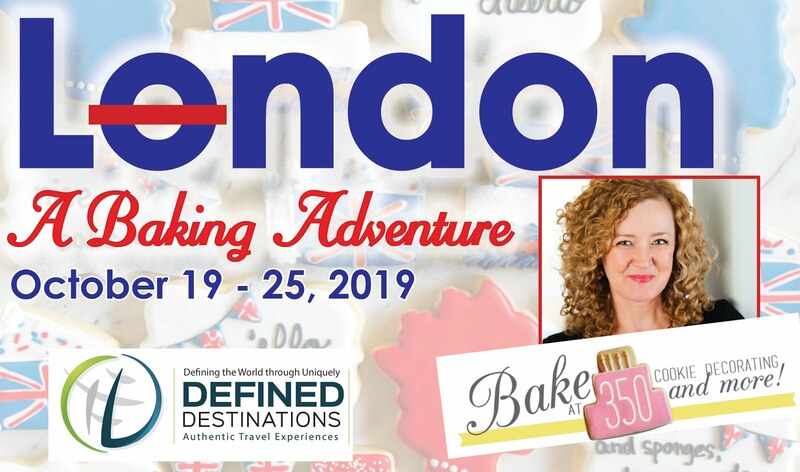 If I were to win...I'd make the creme brulee...or the chocolate frosting...or the shortbread cookies...I can't decide they all sound so good! 3 crushes- dark chocolate, soft blankets, and Cinnabon coffee creamer. Chocalate, fluffy socks and warm blanket! If I won I would won, I would make the creme brulee! YUM!! Cheesecake, cream cheese frosting, and fuzzy socks! Cheesecake is one of my all-time crushes, so if I were to win, I'd definitely make the herbed cheesecake! What recipe would I try? Blueberry tarts! Blueberry tarts! Hmmm...right now my top 3 crushes are: Nutella, Pinterest, and model trains! 1) My husband. He still makes me blush! 2) Our friends' dog Gibson. He's completely adorable and way too much fun to spoil with kisses and treats. 3) Ree of Pioneer Woman. She's a goddess in the kitchen, and I'd love to spend a day with her. Or maybe a week. Or two. I love creme brûlée, so I'd probably give that one a try first! My crushes? This island (Martha's Vineyard), my just married husband and a set of silver teaspoons I bought last week! Oh yes, and if I won, I'll be trying the Creme Brulee! My husband, my baby boy, and cloth diapers! Yum!!!! I love the sound of your Cherry Bread Pudding. Christmas is cherry season here in Australia, so cherries are the perfect christmas treat. I want to try out the Pumpkin Panna Cotta it sounds great! 3. muffin tin and measuring spoon charm necklaces on etsy!